If shopping is your favourite hobby then discounts and coupons are definitely your favourite words. CashKaro.com, a one stop savings destination for all online shopping, is here to help you compare prices and earn cashbacks for the shopaholic in you. 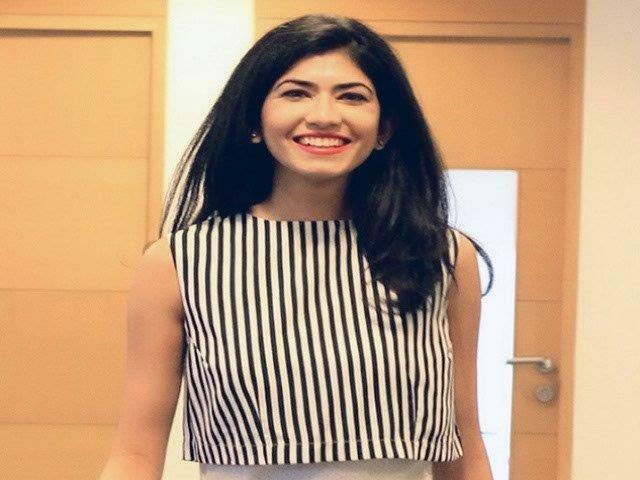 “CashKaro is enabling our members to compare prices and discover products across 1500 shopping sites, earn up to 30% Extra Cashback when they shop at these sites via CashKaro, and get Free Coupons across 1500+ sites which overall helps users save thousands of rupees on their online shopping”, says CashKaro.com Founder Swati Bhargava. CashKaro receives an affiliate commission from partner retailers from which Cashback is paid to users. This Cashback can be paid to users’ bank accounts as REAL CASH or can be redeemed as Gift Vouchers. To sum it up, a very Happy Shopping to you from CashKaro! I graduated from London School of Economics (LSE) with a BSc in Mathematics and Economics. I have worked at Goldman Sachs in London for five years before starting my first venture Pouring Pounds – a Cashback & Vouchers site in the UK along with my husband & Co-Founder, Rohan. Rohan has over eight years of experience in the hedge fund industry. He too graduated from the London School of Economics (LSE) with a BSc Economics. He was last working as a Portfolio Manager at Aladdin Capital, overseeing a portfolio of $1 billion structured credit assets. When Rohan & I started out, only coupon sites existed in India. We had to ensure that our Cashback concept & its benefits were understood by both partnering e-retailers and customers. Building partnerships with e-retailers took us roughly six months before we started out. A lot had to be put in processes to ensure retailers paid commission on time and play fair, so that customers get paid on time. Another big challenge that we faced was in putting together a strong team. Rohan and I understood the importance of hiring people with the right frame of mind. We needed people who shared our passion and enthusiasm. We took utmost care of this fact and built a solid team. Rather than ecstasy of quick wins, I would say achieving milestones was far more gratifying and motivating. Some of the key milestones would be getting to 1 million user base, driving 1000 crore in GMV to partner retailers and crediting over Rs 35 crore as cashback to members. In 2011, both Rohan and I decided to quit our jobs to start the Cashback business. We first started Pouring Pounds in UK in 2011. While the business was booming in UK, we realized that the e-commerce industry was thriving in India as well. So, in 2013, we launched CashKaro here. Coming from a small town like Ambala to studying in Singapore and then at the prestigious London School of Economics to becoming an entrepreneur – my journey has been both exhilarating and fun. Within four years of inception, CashKaro.com has become the largest Cashback & Coupons site in India. Till date, CashKaro has credited over Rs 35 crore as cashback to its valued users and has enabled more than Rs1000 crore of sales to our retailer partner sites. We have raised close to $5million, of which $3.8 million in Series A funding led by Kalaari Capital (one of India’s leading venture capital firms) and Mr Ratan Tata (former Chairman of Tata Sons) also invested in our company, making us the strongest player in the Cashback space. CashKaro has a broad retailer base, with 1500 retailers listed, giving online shoppers a wide range of choices. Unlike competitors we have direct partnerships with Amazon.in, Flipkart, Shopclues, Nearbuy, Makemytrip, Netmeds and more. We are also looking to tie-up with large corporates that will enable their employees to save big bucks on online shopping. The e-commerce industry in India is expected to be $100 billion industry by 2020 and similar progress is forecasted in the cashback space. According to reports, the affiliate sites such as ours contribute to 12-15% of total ecommerce sales in India today. Over the next 3 years, our efforts will be towards solidifying and cementing our market leader position in India in the Cashback & Coupons space. Also, we will be looking at expanding our presence in South-East Asian countries. In the near future, we will primarily be working on extensions and derivatives of our MOBILE initiatives including launching the CashKaro app. We’ll continue to work in parallel to grow the recently launched product comparison ecosystem while creating more partnerships with various other online businesses to build great synergies. As is the journey of any start-up, a lot of small events are turning points in their own right! However, receiving funding from Ratan Tata has indeed been an important milestone in CashKaro’s four-year journey. In November 2015, we also raised Rs 25 crore in a Series A funding round led by Kalaari Capital.